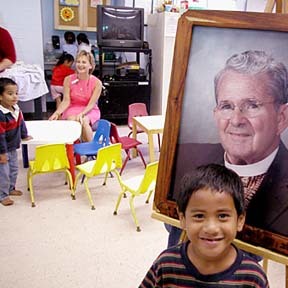 Simbol stands in front of a portrait of the Rev. Claude DuTeil at the Institute for Human Services while IHS Executive Director Lynn Maunakea, background, speaks to others. DuTeil founded IHS in 1978.